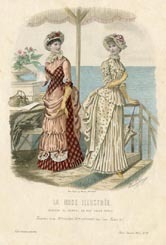 These Victorian fashion prints are from La Mode Illustrée, one of the best known French fashion magazines published in the second half of the 1800s. 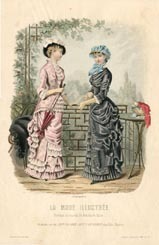 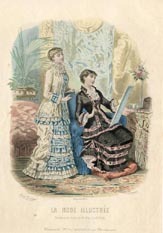 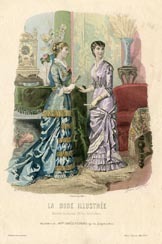 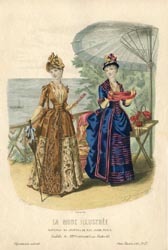 Distributed on a weekly basis, each issue featured a description of Victorian fashions and related accessories. 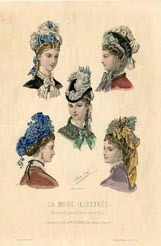 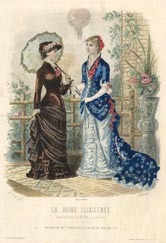 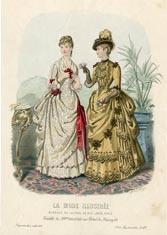 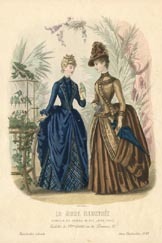 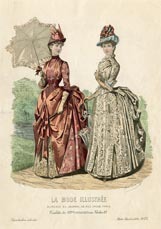 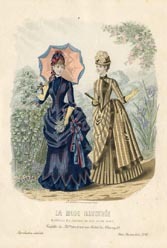 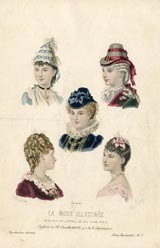 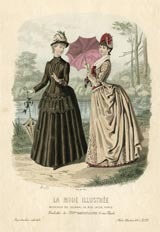 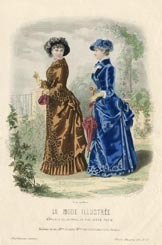 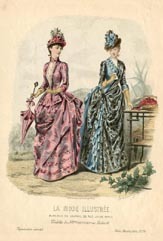 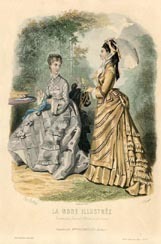 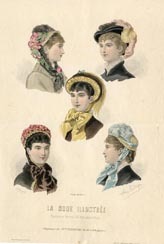 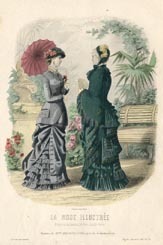 The prints are hand-colored and were inserted in the magazine along with the text pages describing the fashions.